This nature reserve, established in 1974, demonstrates the cyclical nature of our environmental history. 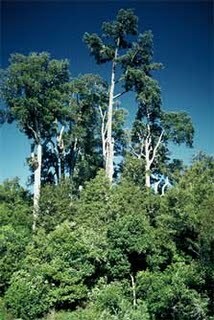 It started with a small remnant of swamp forest that had escaped the fate of wholesale clearance suffered by all other swamp forest in the Kapiti region (and beyond). The founders of the reserve* approached the farmer who owned the land – which was part of a sheep and beef farm at the time – about leasing the 13 hectare block which included the remnant forest. The farmer, Moss Smith, was somewhat bemused by their fervent interest in this boggy, “unproductive” piece of land, but in the end agreed to their request. The original objective of the founders was to establish a bird sanctuary (hense the name Nga Manu – “the birds” in Maori) – it was only later that they realised the immense significance of the area and opportunity it provided to protect the largest remnant of coastal lowland swamp forest on the Kapiti Coast. To this end, the Trust later purchased the land outright. What makes this place particularly special is that – like many of the special natural environments that remain today – it has only survived due to a twist of (geological) fate. Like most of the Kapiti Coast, all the lowland swamp forest in this area was cleared from the 19th century to make way for farms and settlements. (New Zealand ‘boasts’ an 85% decline in wetlands since European settlement – one of the most dramatic declines anywhere in the world.) The area that is now Nga Manu was part of one such farm – and remained so up to its initial lease by the Nga Manu Trust. However, a piece of remnant lowland forest stubbornly remained, despite the best efforts of successive farmers to clear it. This was due to the presence of a spring at the southern end of the reserve, that made the area impossible to drain. Water can still be seen bubbling up from this spring from the walkway through the bush reserve. Thanks to this unassuming little spring, and the foresight of the reserves’ founders, the Kapiti Coast is now endowed with a reserve that is habitat to numerous indigenous bird species – many of which make their own way over from nearby Kapiti Island – and the last remaining piece of lowland swamp forest in the region. It also provides local children with the opportunity to experience the beauty and sensation of lowland bush and understand why it is such an important and valuable ecosystem. * The founder trustees were Prof. John Salmon (author of numerous books on NZ flora), Sir Robert Falla, David Mudge, Peter McKenzie and his father, Sir Roy McKenzie. Next Article Why is understanding our environmental history so important?